Jean-Marc Peterschmitt oversees the Bank’s activities in the enterprise sector across all countries of operations, working together with four Directors covering manufacturing and services, agribusiness, property and tourism, information and communications technologies and the Managing Director in charge of SME finance and development. In his capacity as Chief Operating Officer for the Client Services Group, he supports the First Vice President, Client Services Group by focusing on the design, execution and supervision of relevant managerial or business issues cutting across the Client Services Group (Banking and Policy and Partnerships). Mr Peterschmitt is a seasoned banker with extensive sector and country experience who joined the EBRD in London HQ in 1992. After an initial period in the municipal infrastructure team and the Balkans country team, he became Country Head for Bulgaria in 1998, based in Sofia. He returned to HQ in 2001 as Director, Western Balkans, before joining the Financial Institutions group in 2004, as Director for Bank Relationships, and then in 2009 as FI Director for EU & Ukraine. 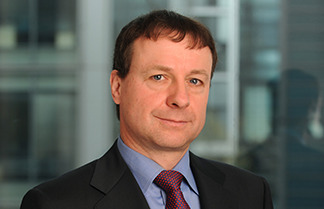 In 2011, Mr Peterschmitt became Managing Director for Central and South Eastern Europe, responsible for leading the Bank’s operations in 17 countries of Central and South Eastern Europe. In 2014 he was appointed Managing Director for all Countries of Operations and Chief Operating Officer for Banking. Prior to joining the EBRD, Jean-Marc worked at the Ministry of Agriculture and Rural Development in France. A French national, Mr Peterschmitt studied Agricultural Engineering in Paris and has an MBA from INSEAD.